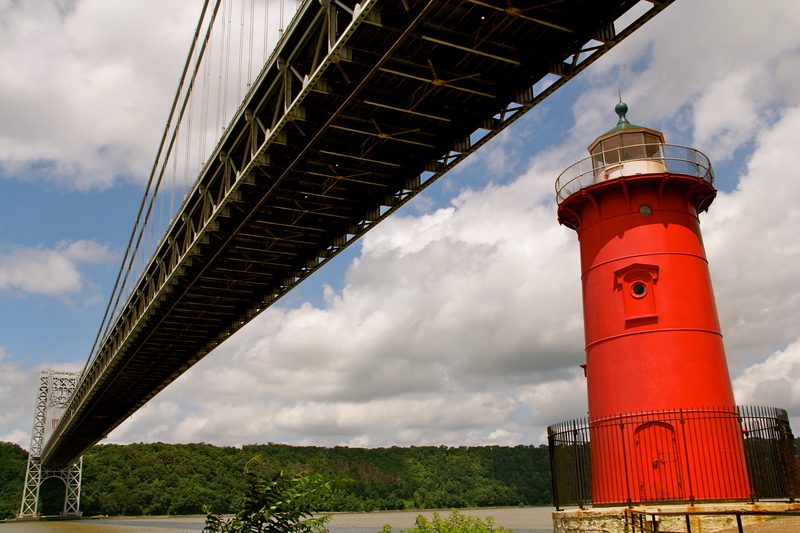 “Fat and red and jolly” is how Hildegard Swift described Jeffrey’s Hook Light in her beloved tale The Little Red Lighthouse and the Great Gray Bridge. Although the red lighthouse has not shone its light in years, it is, like in the book, still proud to have a job to do: pleasing children and tourists. The book, which was published in 1942, tells the story of the lighthouse’s fear that it no longer is of any use when a great grey bridge is built next to it, with its own flashing light, making it feel small and unimportant. One night during a storm, however, the bridge calls to the lighthouse reassuring it that it still has work to do: “each to his own place,” it says, and so the lighthouse proudly gets back to work.